The Tampa-Clearwater Real Estate Group meets Wednesday, June 13th and every other Wednesday from 11:30 AM to 1:30 PM at Joe’s Crab Shack located at 2730 Gulf to Bay Blvd (Hwy 60) in Clearwater, FL. 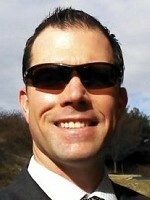 Our guest speaker for Wednesday, June 13th will be Tim Mockler who will be speaking on Asset Protection! 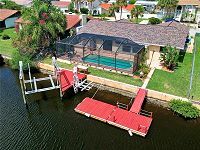 Tim has been investing for well over 40 years in the Tampa Bay Area and holds a wealth of real estate experience! Join the group for a bunch of FUN, networking & GREAT information! 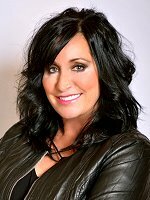 The Tampa-Clearwater Real Estate Group offers a great forum for networking, pitching properties and awesome real estate information including excellent guest speakers that cover very interesting real estate subject topics. Contact Jim Miera at 727-415-6325 for more information. 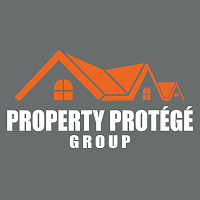 Have you ever wanted to Fix & Flip Houses for Fast Cash or to Fix and Hold for Long Term Cash Flow but didn’t know how or where to get started? If so, be sure to join us at the Tampa REIA Main Monthly Event on Thursday, June 14th from 5PM-9PM at the Doubletree Suites Tampa Bay located at 3050 North Rocky Point Dr. West in Tampa, FL. We are very excited to announce that we are having an All-Star Panel of Expert Rehabbers who will be sharing their wisdom on how they have all made huge profits renovating houses over the years and how you can too! The panel will consist of Ben Smith, Keith Gains, Jim Miera & Don DeRosa. Mark your calendar and come join us to learn how to Fixing & Flipping Houses in 2018 at the Tampa REIA Meeting on Thursday, June 14th from 5PM-9PM at the Doubletree Suites, 3050 North Rocky Point Dr. West, Tampa, FL. TAKE ACTION, RSVP NOW & DON”T MISS IT! As always, Tampa REIA Members can attend our March Main Meeting event at no charge and Non-Members can Register Online for $15 or pay $20 at the door. Be sure to bring your business cards and flyers and join us for an evening of real estate deals, vendors, networking, education and fun on Thursday, June 14th! See you there! How to Trick Out Your Rehabs to Sell in Hours & Not Days or Weeks! Join Don DeRosa every month at our High Tech Home Buying Creative Deal Structuring Subgroup that meets one hour BEFORE the Tampa REIA Main Monthly Event at the Doubletree Suites. Don will give you you tons of tips and tricks on what do to your rehabs in today’s market to sell them in hours instead of days or weeks. Answers to your rehab questions and much more! Let Don show you what’s working and what’s not in today’s competitive real estate market. RSVP now! 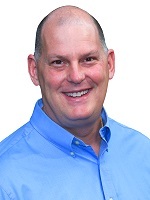 Keith’s experience in real estate, design and construction spans almost 20 years. 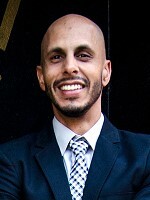 Originally from New York, Keith moved down to the beautiful sunshine state after high school to pursue a career in Architecture, Construction and Real Estate. A graduate of the University of Florida School of Architecture, Keith brings a unique design skill set to his real estate business. Since 2013 as full time Real Estate Investor, he has successfully flipped & built over 30 homes in and around the bay area. Understanding design/market trends, paying attention to what buyers want in a home, as well as having a firm grasp on home values, gives him a unique edge in the local marketplace. Keith is also a licensed Realtor. When Keith isn’t talking real estate (which is rare), you’ll mostly find him at the gym, jogging around the neighborhood with his Australian Sheppard Charlie or sipping on some healthy green juice. An avid reader, he understands that applied knowledge is power and the best way to earn more is to learn more. 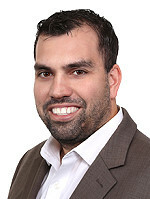 Ben specializes in identifying opportunities and creating win-win solutions for sellers, buyers, contractors and investors. This, coupled with the ability to see a house’s potential and the path through rehab, provides a unique perspective to real estate investing. 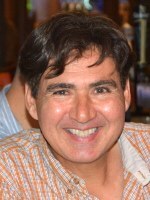 Ben is an experienced residential home rehabber and also holds a personal portfolio of rental homes in various US states. He enjoys providing affordable, quality housing, and likes the challenge of taking a house that needs work from the worst house on the block to the best house on the block. His ultimate goal is the creation of passive income streams as a path to financial freedom. 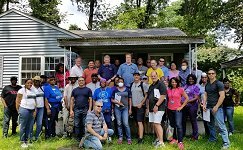 Please join us on Tuesday, June 19th at 1:00PM for the Tampa REIA Onsite Renovation Group (ORG), hosted by Jim Miera, to learn all about finding, funding, fixing, and flipping houses for big profits. This month’s meeting will be held at 4938 Newton Ave S, Gulfport, FL. 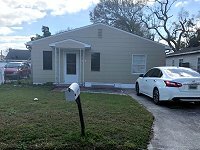 This is a very unique rehab case study that involves a house that was illegally converted to a duplex way back when and is now being converted back to a single family house offering some very interesting learning lessons to be shared. This house was built in 1955 and is 1081 square feet. It had been under a work stop order with code enforcement for 15 months… whoops! This rehab is now being managed by Brandon Mann with CTM Capital LLC. We look forward to seeing everyone at this unique rehab case study on Tuesday, June 19th at 1PM in Gulfport. This rehab will be an exciting and powerful event to learn from! RSVP Now and we will see you there! 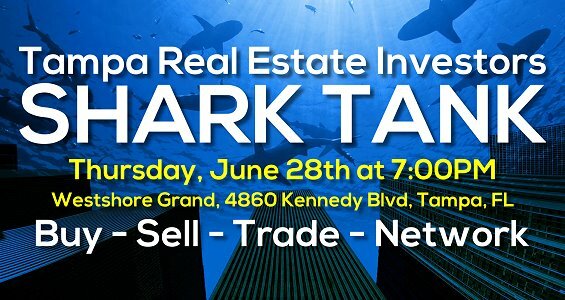 Tampa Real Estate Investors SHARK TANK on June 28, 2018. Bring Your Deals! The Tampa Real Estate Investors SHARK TANK meets on Thursday, June 28th, 2018 at 7 PM at the NEW LOCATION of the Westshore Grand located at 4860 W Kennedy Blvd, Tampa, FL.